You're looking at the Albert Bridge across the River Thames. 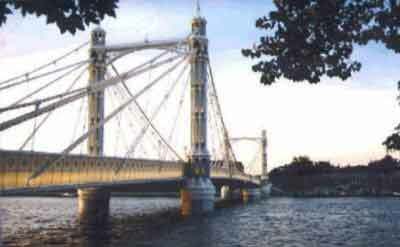 Albert Bridge was completed in 1873 and named in honour of Prince Albert. It is a cantilever and suspension bridge, designed by R.W. Ordish.